The Audion next to top-of-the-line, line level with moving coil phono stage 2 box mono-block pre-amplifier is totally hard wired point to point and hand built using solid 5 * 9’s silver wire in all its audio path and specially selected and matched components including some tanatalum resistors, etc to make it one of the best sounding preamps in the world! Featuring Audion's special unity gain, zero gain stage technology. Audion Premier Quattro line level preamplifier is available in our Uni-chassis’, and includes an MC stage for even the most sensitive of cartridges, it is a true high-end, high quality product capable of handling a massive array of sources. (with only 4 tubes in the entire signal path from the cartridge, a 4 chassis totally dual-mono construction and the power supplies use only polypropylene capacitors). There are 17 active power supply stages in the 2 box and 21 active supplies in the 4 box. 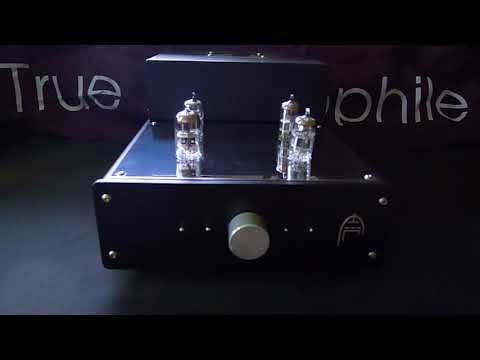 We would recommend only two upgrades to this pre-amp, and upon Arthur Salvatore’s recommendation we would advise customers purchasing this to include Teflon V-caps and either Vishay Dale stepped attenuators or Goldpoint. As with all our pre-amps they feature a transformer less design direct cathode coupled with no input, inter stage or output wound components making this preamps extremely fast and capable of handling the most intricate and detailed passages of music that can be shown them. Outstanding performance, lightning quick response curves and terrific transparency. The 2 box and the 4 box Audion Quattro pre-amp uses NOS Russian 6H23N tubes as standard, it also has a ground lift switch at the rear to assist in resolving grounding issues by floating the ground internally above mains ground.